The insurance market is closely linked to the economic situation of the country. 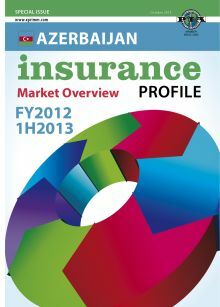 This year, the Azeri insurance industry celebrates 10 years of existence, with a market volume of more than EUR 350 million in 2012. Double digit increases has defined market over the last decade: for example, just in the last two years the insurance sector has doubled. At the same time, the capitalization of the insurance market has grown 16 times, and the income of insurance companies 17.5 times. Also, (resulting in strengthening of the sector’s financial stability), the total capital of all the insurance companies in the country increased from EUR 18.4 million to EUR 300 million, while net profit of the insurers increased to EUR 48 million in the mentioned period. And this is only the beginning. 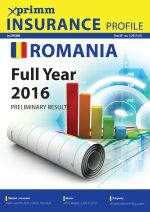 Judging by the official statistics and companies’ predictions, the market has the potential to increase to EUR 1 billion in 2020. Therefore, the growth rate of the insurance sector will seriously exceed, in the future years, the growth rate of the economy. The special issue of Insurance Profile dedicated to these achievements is meant to keep you updated with the market’s realities and future prospects, emphasizing the real business opportunities. It covers business environment, market players – companies, supervisory authority and association – to offer a complete image of the economic and insurance sector.